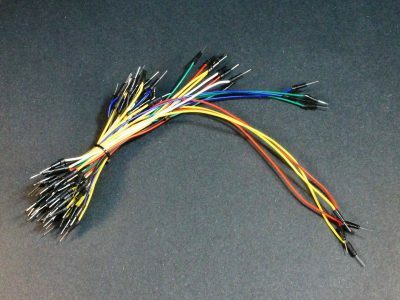 Products in this category include wires and cable assemblies. 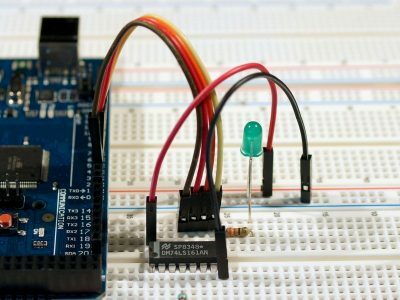 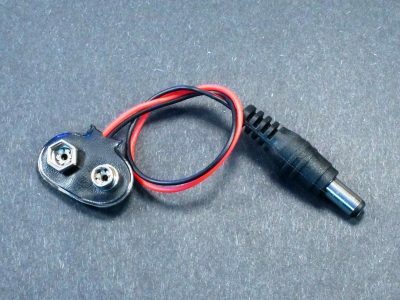 The 9V Battery to DC Plug Adapter Cable provides a handy way to connect a 9V battery to a project for portable operation. 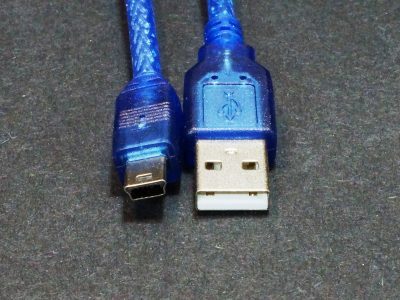 These 4″ (10 cm) long 20-conductor cables have female header contacts on both ends of the wires. 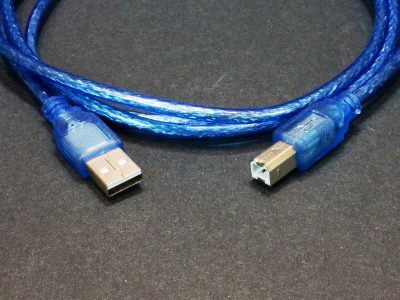 These 8″ (20 cm) long 20-conductor cables have female header contacts on both ends of the wires. 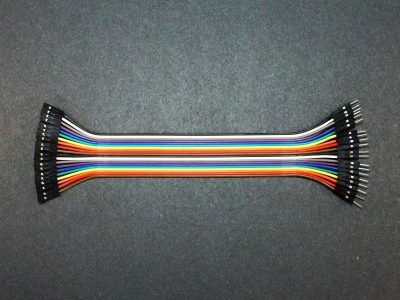 These 8″ (20 cm) long 40-conductor cables have female header contacts on both ends of the wires. 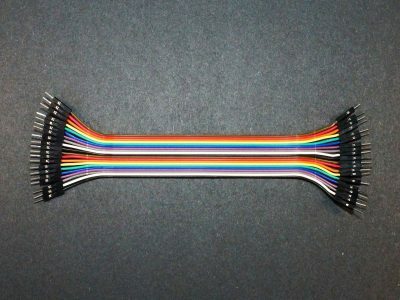 These 12″ (30 cm) long 40-conductor cables have female header contacts on both ends of the wires. 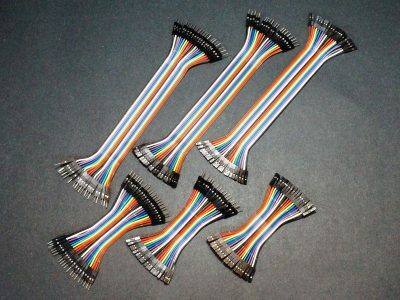 These 4″ (10 cm) long 20-conductor cables have male header pins on one end and female header contacts on the opposite end. 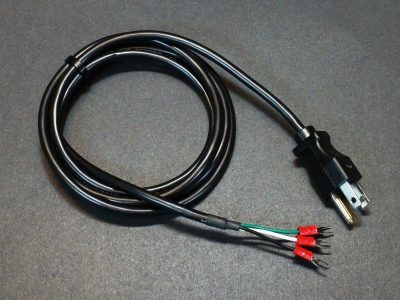 These 4″ (10 cm) long 40-conductor cables have male header pins on one end and female header contacts on the opposite end. 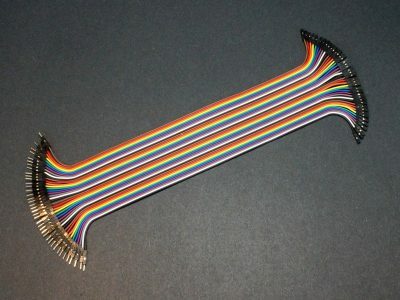 These 8″ (20 cm) long 40-conductor cables have male header pins on one end and female header contacts on the opposite end. 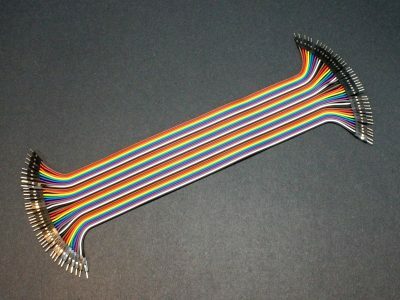 These 12″ (30 cm) long 40-conductor cables have male header pins on one end and female header contacts on the opposite end. 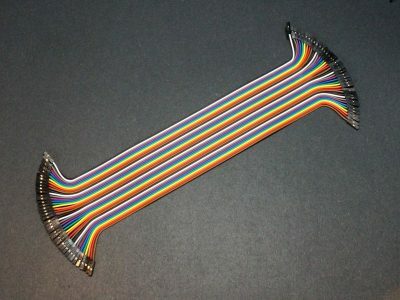 These 4″ (10 cm) long 40-conductor cables have male header pins on both ends of the cable. 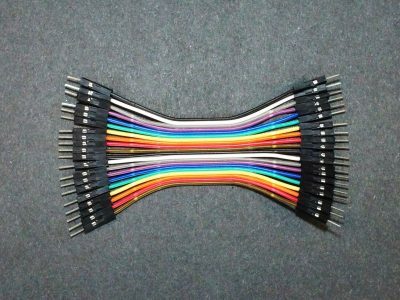 These 8″ (20 cm) long 20-conductor cables have male header pins on both ends of the cable. 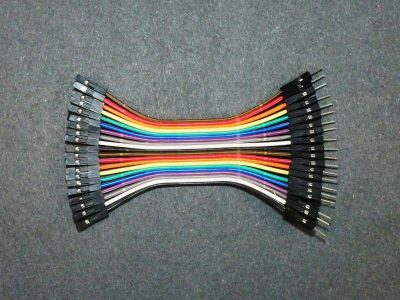 These 8″ (20 cm) long 40-conductor cables have male header pins on both ends of the cable. 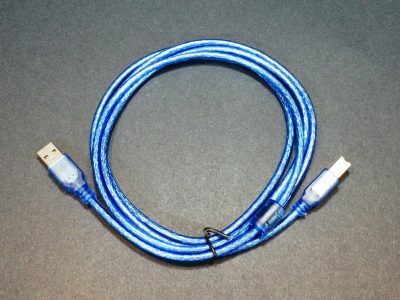 These 12″ (30 cm) long 40-conductor cables have male header pins on both ends of the cable. 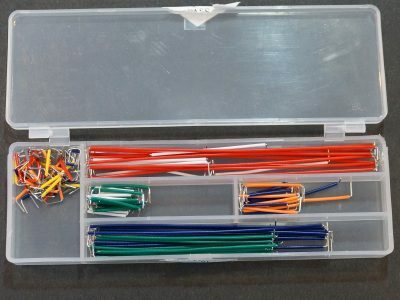 65pc multi-color M/M jumper wire kit with 4 lengths from 10cm to 25cm. 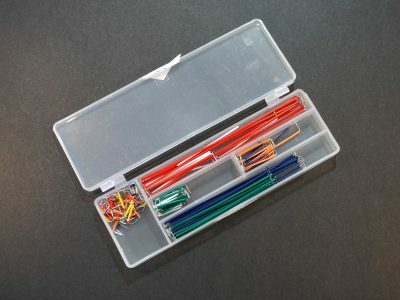 This U-Shaped jumper wire kit consists of lengths from 2 – 125 mm totaling 140 pcs. 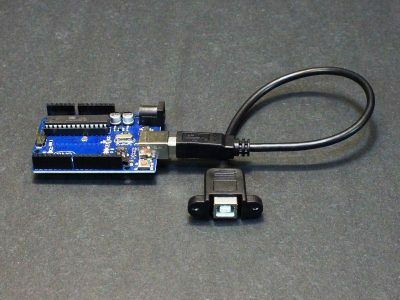 The AC to Spade Terminal Power Cord is convenient for connecting AC power to power supplies with screw terminal power connections. 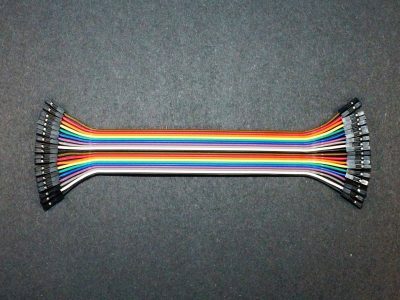 Our 14 gauge high strand count silicone coated wire is ultra flexible and perfect for wiring DC power systems in tight spaces or for making test leads. 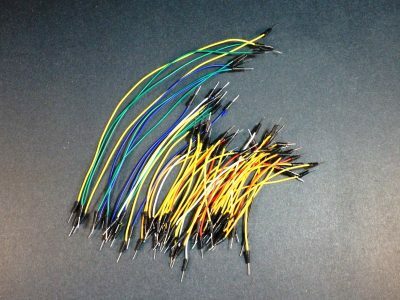 Select Color (RED /BLACK) and Qty in feet. 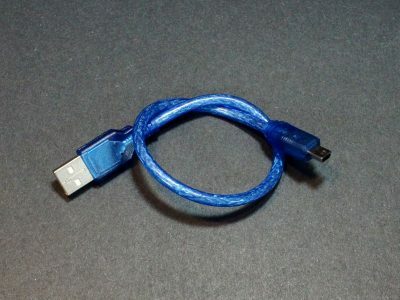 Our 16 gauge high strand count silicone coated wire is ultra flexible and perfect for wiring DC power systems in tight spaces or for making test leads. 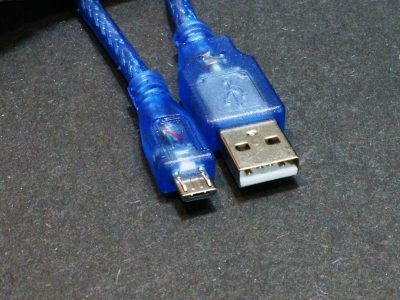 Our 18 gauge high strand count silicone coated wire is ultra flexible and perfect for wiring DC power systems in tight spaces or for making test leads. 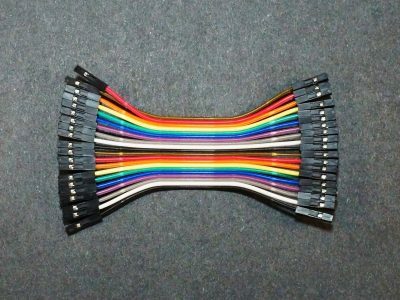 Our 20 gauge 2-conductor high strand count silicone coated wire is ultra flexible and perfect for wiring DC power systems in tight spaces. 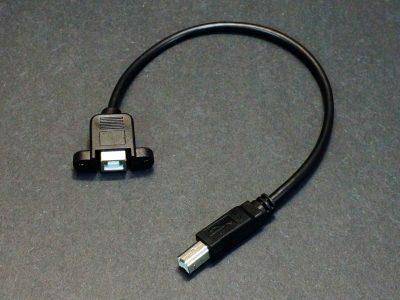 This 1 foot long USB 2.0 cable is for connecting between a standard PC USB port and devices that use the small Mini-B port. 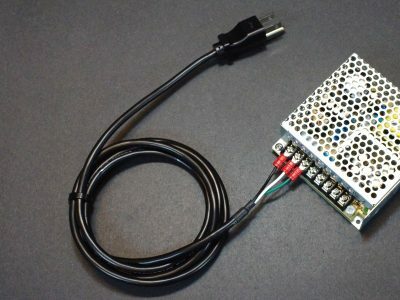 This panel mount extension cable is perfect when embedding an Uno, Mega 2560 or other boards with a Type-B USB in an enclosure. 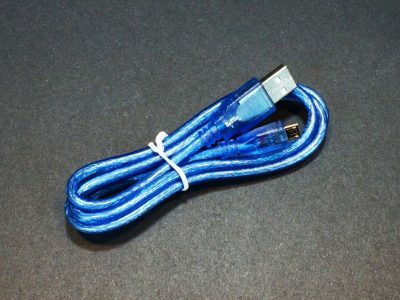 This 6 foot long USB 2.0 cable is for connecting between a standard PC USB port and devices that use the large Type-B printer port.